We can safely say that if and when Meghan Markle and Prince Harry welcome their first child, the occasion will be included in the short list of anticipated babies of all time which include the other Hollywood actress to welcome a child with a Prince. 1 Grace Kelly, a Hollywood legend, captivated the nation after she married Rainier III, Prince of Monaco, to become princess consort of Monaco, and the world watched closely as they started a family. On April 19, 1958, presented her newborn son Albert to residents of the principality on April 19, 1958, from the balcony of the palace, along with their daughter Caroline. 3. Then came the big Camelot birth on November 25, 1960 of little John F. Kennedy Jr., the son of President John F. Kennedy and First Lady Jacqueline Kennedy, born just 6 weeks after his dad became president. 4. It will take a few more decades for there to be a baby to capture so much attention. This one was anticipated worldwide. 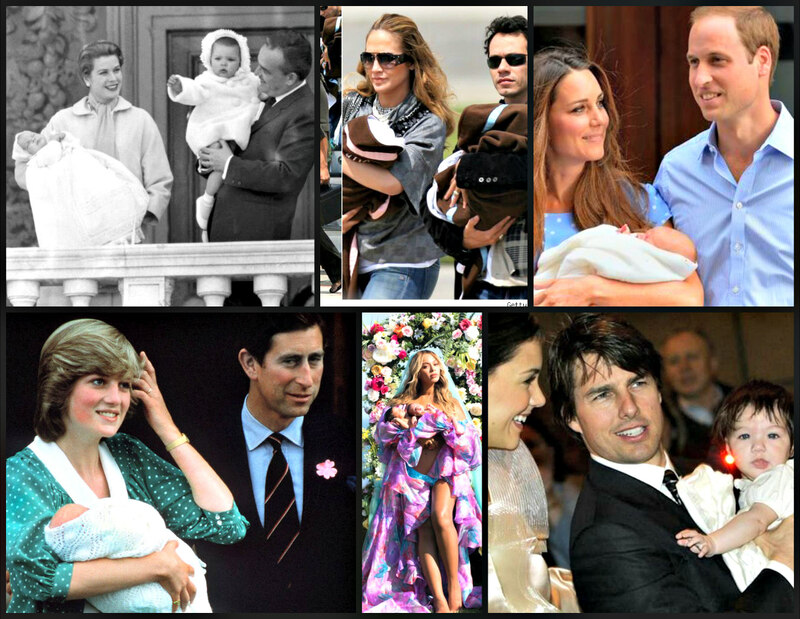 Prince William, the first born child to Prince Charles and Princess Diana of Wales joined the world on June 21, 1982. 5. The next big Hollywood baby was Lourdes “Lola” Leon born Oct. 14, 1996 to mom Madonna and her then boyfriend and personal trainer, Carlos Leon. 7. A month later, in May 27, 2006 of Shiloh Pitt, the daughter of Brad Pitt and Angelina Jolie. 8. Two years later came the first major celebrated twins: the son and daughter of singer Jennifer Lopez and Marc Anthony on born Feb. 22, 2008, when Max and Emme came into the world. 9. Also that year, fans of Nicole Kidman were happy to see her end her openly discussed fertility quest with a baby when her first daughter, Sunday Rose, with husband Keith Urban was born in July 2008. 10. Then there was the first baby girl after a couple of boys for Victoria Beckham and David Beckham who welcomed their first daughter, Harper Seven on July 9, 2011. 11. A year later came Queen Bey, Beyonce and Jay Z‘s, much anticipated arrival, Blue Ivy Carter born on January 7, 2012, after her mom had already experienced at least one miscarriage. 12. Later that year, another woman who openly talked about her struggles to get pregnant was Mariah Carey who, along with her then husband Nick Cannon greeted twins, Monroe and Moroccan, on April 30, 2012. 13. A year later, Kim Kardashian and Kanye West welcomed their first child, daughter, North, on June 15, 2013. 14. The last big anticipated birth was Beyonce’s twins Suri and Rumi Carter on June 14, 2017.